2019 Honda Insight – The Best Looking Hybrid For Under $30k? Hybrid vehicles have come a long way since 2000, but the lasting image in many consumers’ minds is the appearance of the Toyota Prius. Even worse, there’s been a negative perception towards the car, and for good reason if you’re a car enthusiast. It’s the embodiment of the lack of love for cars by some drivers, and that it’s only purpose is to get from Point A to Point B. Despite the pushback by consumers who prefer gas powered cars, the Prius has owned the hybrid segment for almost two decades, but has their run of glory finally come to a close with the reintroduction of the all new 2019 Honda Insight? Whether Honda received criticism or not in the past for their design of the Insight, the first generation back in the early 2000’s resembled a computer mouse. The second generation made some improvements in 2010 when it was brought back, but still didn’t make any headway against the Prius, even though the Insight had a similar appearance which was done on purpose to try enticing consumers to switch to Honda. Now the 2019 model year takes on yet another look, and this time it comes in the form of a sedan. Built on the same platform and sharing the same design cues as the Civic, the Insight has grown up and matured to a point that we now have to take this hybrid seriously. I’m on the fence of whether I actually prefer the appearance of the Insight over the Civic, as its road presence is much more appealing. Honda clearly listened to the demands of car buyers, and went much more conservative to make this sedan look like an average compact vehicle. I know what you’re thinking. “But what about the Accord and Camry which both have hybrid trims? They’re normal four-door sedans but use alternative energy to increase mpg’s”. The reason the Insight raises eyebrows is because it’s a pure hybrid and doesn’t offer gas powered trims, which makes it serious competition for the Toyota Prius. Pricing will also play a factor, as the Insight starts close to $1k less than the base model Prius. For fuel economy, the Insight gets 55 mpg in the city and 49 mpg on the highway for the LX and EX trims due to the 16″ wheels that come standard. The Touring will be slightly less economical as you’ll get the upgraded 17″ alloy wheels, but to make up for it, heated leather trimmed seats, a power moonroof, and a power driver’s seat highlight some of the upgrades over the EX trim. We can delve into the numbers and do an in-depth comparison with the Prius, however this hybrid sedan is not meant to convert the cult following of Toyota loyalists, but instead reach the buyers who are on the fence. It’s the first impression that’s going to leave a lasting impact for the Insight, which is why it has a strong chance of being a success in the US. It wouldn’t be a stretch to suggest that pedestrians and fellow motorists passing by would be surprised to find out out it’s a hybrid, as the Insight could be perceived as being a next generation Honda Civic. Not to be funny, but the journey this car has gone on in the last 20 years is like that movie, “A Dog’s Purpose” starring Dennis Quaid. Not only was the dog searching for a life purpose, but each time he passed away he reincarnated as a different breed, similar to the Insight which went from a two-door, to a hatchback, to now a sedan. 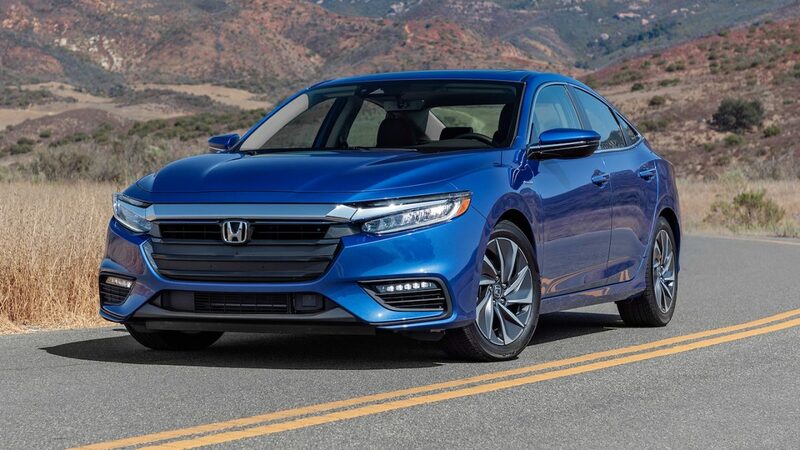 It’s possible that Honda has finally found a purpose for the Insight, and as a good looking compact sedan, it could fare very well with consumers gravitating towards hybrid technology. Previous Previous post: Has the Crossover Craze Opened The Door For A Sedan Renaissance? Next Next post: Is Mercedes Benz Becoming An “Old Person” Brand Again?